The Minnesota Vikings new stadium will feature extensive glass walls, which will surely kill thousands of migratory birds. Here is a petition urging the team to use bird-safe materials. 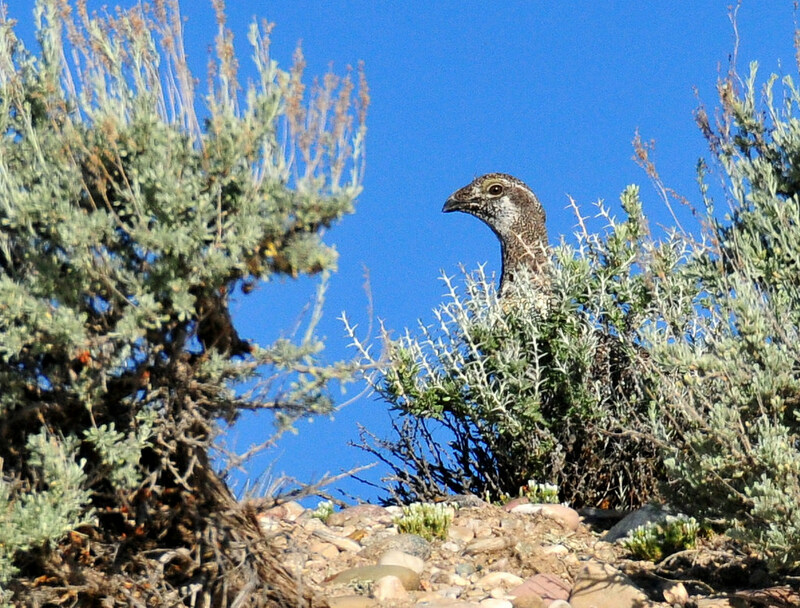 Western states and energy companies are trying to implement conservation practices that would keep the Greater Sage-Grouse off the Endangered Species List. Even those might not be enough to stop the decline of the species without further limits on land use. Audubon Magazine has an interview with Dorian Anderson, the birder who is cycling and birding across the country to raise money for conservation. You can follow his big year at Biking for Birds. Another article in the same issue covers Neil Hayward's record-breaking big year in 2013. Sea ducks have been unusually abundant along the southeastern coast of the US this summer. Researchers have created a map of Wood Thrush migration by use of geolocators strapped to the birds' backs. One unexpected result was that the thrushes that breed the furthest north migrated the furthest south. Hybrid Swainson's Thrushes seem to choose more difficult migration routes. Colombian conservation groups have created a new cloud forest reserve in the Serranía de Perijá mountains, which has received little conservation attention compared to other areas of the country. The new conservation area is home to several endemic species, including some that were only recently discovered. Here are some ideas for identifying brown, streaky fledglings in late summer. Ashy Storm-Petrels are breeding at California's Santa Catalina Island. Bioacoustic recordings are more effective than field observers for detecting some elusive species like the endangered European Nightjar. Here is a photo gallery of birds of the southwestern US. ABA Blog: How Many Species of White-breasted Nuthatches? National Moth Week continues this week and runs through Sunday. Here is a NY Times article on moths and moth week. Documents from Pennsylvania's DEP show that oil and gas operations contaminated drinking water supplies 209 times since 2007. California's response to the drought has been complicated by water rights and delays in carrying out basic conservation measures. A new study looks at how climate change will affect malaria rates. California is building another big desert solar plant. With rapid declines and extinctions across many animal species, it might be time to introduce the term "defaunation" to combine those trends together. According to DNA analysis, the Spotted Green Pigeon (known only from specimens) was a distinct species that was most closely related to the Dodo and Nicobar Pigeon. Fall migration and post-breeding dispersal are already underway. Here are some examples of how birds move around during July. Speaking of migration, American Scientist has an article on physiological changes and the annual migration cycle (via 10,000 Birds). Scientists have recovered the first-ever geolocator data from a Semipalmated Sandpiper, and a map of the bird's migration route is available. The Western Watersheds Project is criticizing the federal government's management plan for Greater Sage Grouse because it does not protect adequately against livestock grazing. The US Fish and Wildlife Service is in the midst of a pilot project to remove Barred Owls from the historical range of the endangered Northern Spotted Owl. One biologist who has shot 92 Barred Owls in the past five years reports seeing Northern Spotted Owls move back into habitats where he shot Barred Owls. The feathered dinosaur, Changyuraptor yangi, had a long tail to help control its flight and landings, much like many modern raptors. Here is a look at some fall flycatcher plumages (via BBB). An experiment suggests that fruit colors evolved to draw the attention of birds. Satellite tracking shows that ducks use public and private conservation land extensively during their migrations. Pelicans are the birds most at risk of being snagged by a fishing line in Australia. Atlantic Puffins in Scotland had a successful breeding season. An American birder writes about looking for birds in Poland. View from the Cape: Ducks - like you never saw them before! National Moth Week is next week, starting Saturday, July 19, and running through Sunday, July 27. Visit the link to learn more about how to participate. It can be as easy as going to a local public mothing event or leaving a outside light on and submitting photos of the moths to one of the partner websites. To whet your appetite, here is an essay on Luna Moths. Australia just repealed its carbon tax, which was enacted just a few years ago. The water level at Lake Mead keeps sinking lower and lower. A Walmart is planned for one of the last tracts of pine rockland forest in South Florida. A study on Heiltsuk First Nation lands found a previously unknown grizzly bear migration route through British Columbia. Bird scaring lines can reduce albatross deaths associated with fishing operations. Scientists recently discovered fossils of an albatross-like prehistoric bird that would have had a 21-foot wingspan, larger than any other known bird. The Nature Conservancy will be tracking the migration routes of tagged Long-billed Curlews that breed in Idaho. Environmentalists are suing the US Fish and Wildlife Service to change the Lesser Prairie Chicken's status from threatened to endangered. An endangered listing would give the agency less latitude to allow incidental killings to prairie chickens by the energy industry. 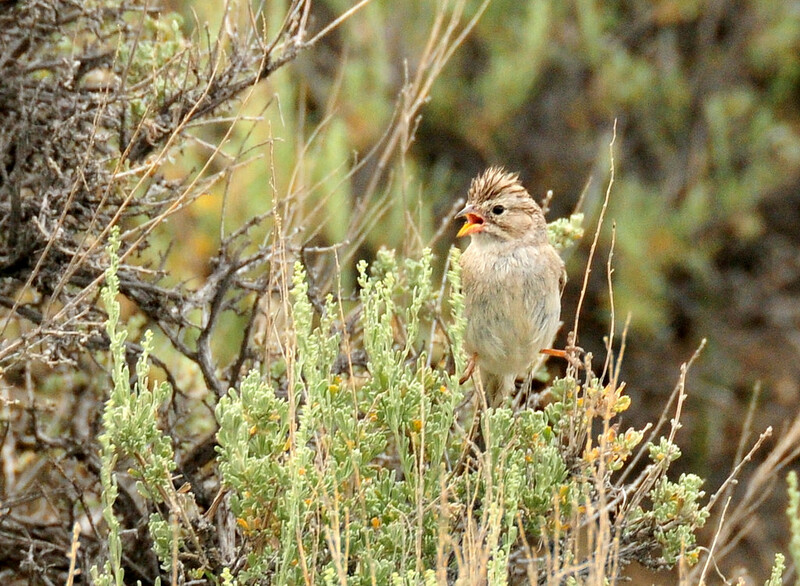 A subspecies of the Sharp-beaked Ground Finch on Wolf Island in the Galápagos takes regular blood meals from other birds, especially from nesting boobies and their chicks. Here is an animated graphic of a hummingbird flapping its wings while hovering. Nick Lund of The Birdist has an article on the bird conservation problem caused by Ivanpah and similar solar installations. Scientists are seeking to reconstruct the diet of the Bonelli's Eagle, a threatened species in Europe. 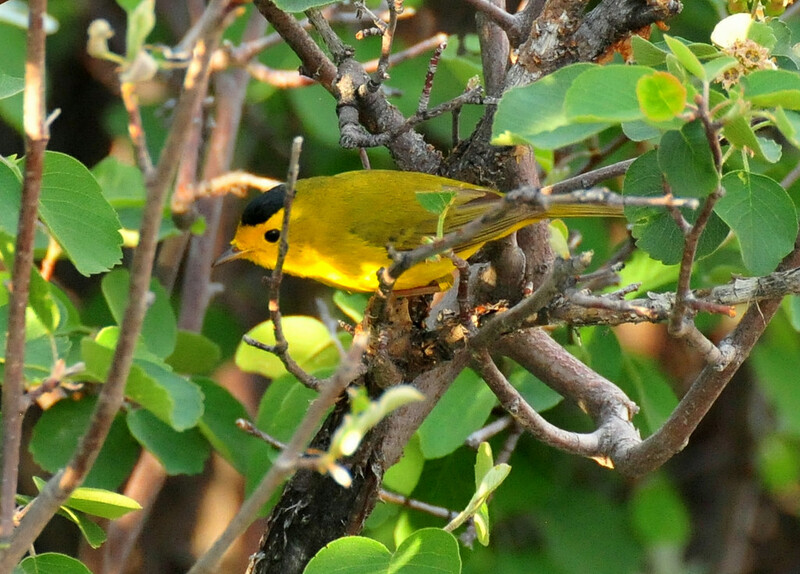 A study of Sociable Weavers explores how birds cooperate within a communal nesting colony. Scientists studying Japanese Quail have identified a photoreceptor that lets the bird know when to reproduce in the spring. Rat poison frequently kills urban raptors who eat poisoned rats. 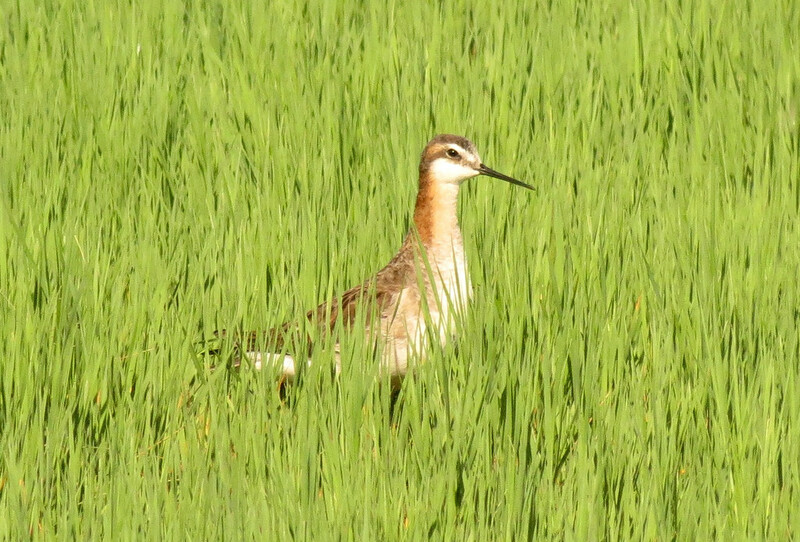 EBird has a new monthly challenge for July. South Jersey Butterfly B/Log: Is Hickory Hairstreak Possible in South Jersey? The US Fish and Wildlife Service decided against listing the wolverine under the Endangered Species Act even though two panels of scientists recommended the listing. Strong southerly winds contributed to an algal bloom off the coast of New Jersey last week. In preparation for this year's World Cup in Brazil, FIFA picked an endangered endemic armadillo as the event's mascot, but has done little to help conserve the species. Speaking of the World Cup, a large orthopteran made an appearance during the match between Brazil and Colombia. A new report assesses how climate change will affect birds. Great Spotted Cuckoos force their hosts out of the way in order to lay eggs in their nests. The most recently discovered fossil of Archaeopteryx shows better feather preservation than most others and contains hints of how feathers and flight evolved. Plants in the genus Axinaea spray pollen on birds as they forage for nectar. Lark Sparrows follow individualized migration routes to their winter territories. Band-tailed Pigeons are dying from infection with the Trichomonas pathogen. Two more endangered Whooping Cranes were shot. South Jersey Butterfly B/Log: How frequent are second-brood Hessel’s in NJ? In the wake of numerous cases of animal cruelty, one county in California is reconsidering its contract with USDA Wildlife Services. The drought in California continues, with 80% of the state now in extreme drought. A federal judge in Colorado blocked the expansion of a coal mine on public land on the grounds that the mining company failed to consider climate change in its Environmental Impact Statement. After years of receding water levels, the Great Lakes have risen as much as a foot thanks to the severe winter. One species of lichen in South America turned out to be 126 species on the basis of genetic analysis. New Jersey has some advice for what to do if you see a bear in an urban setting. A Humpback Whale was spotted in Raritan Bay. Here is a profile of one source for native plants in New Jersey. Garter snakes are frequently encountered even in urban settings.